A viable example is provided by “Agropur”, a Canadian dairy processor whose plant was losing its performance due to primitive automation technology. The level of intelligence was minimum, and operations largely relied on workers collecting data manually and then analyzing it. To escape the limbo, the company initiated a modernization campaign, moving to a standardized control and information platform. They made use of new controllers, HMIs and visualization software, effectively replacing manual data collection while instilling insights to help with analysis. Quantitatively, the company has managed to eliminate 2500 hours of manual data collection while uncovering 33 hours of additional production time per year. This is just one of the many success stories that are becoming increasingly common, making a strong case for modern technology to take over the reins. However, Digital Enterprises also hold potential to deliver performance in areas outside of production. One such area is industrial safety management. At this point in time, several safety professionals rely heavily on outdated data accumulation and reporting techniques. Activities such as audits, training and inspections are dependent on the accuracy of manually entered data, which is then stored and analyzed on an isolated platform. In retrospect, the Digital Enterprise, if implemented, can improve such processes, making them more efficient and as a result, the workplace safe. The Digital Enterprise methodology begins with making use of conventional safety technologies. The idea is to provide a central platform for all data-producing devices to accumulate to. From here on, a repository can be formed which can be updated in real-time and analyzed with the help of advanced analytics. Let’s take something as simple as an emergency stop button. The organization can make use of the Digital Enterprise to analyze the misuse of the button by workers. For operators, it may not seem as an abuse or misuse, but in fact, such actions can prevent assembly lines from reaching peak performance. By identifying these actions through the collected real-time data, managers can issue stringent codes within the workplace. Digging a little deeper, safety professionals can then work with plant managers to identify the root cause of such episodes so that it can be nipped in the bud. Beyond preventing safety mechanism misuse, the availability of real-time data can help improve drive safety performance. It has been a common practice among several manufacturers to follow a forgive-and-forget approach pertaining to risk assessment data once the design stage is completed. 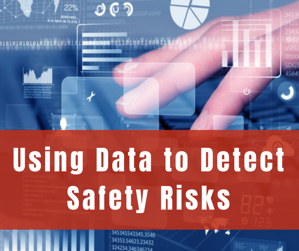 However, the collected data can be used within a risk calculator, where the data is stored as the baseline for safety performance, being compared to the actual-use frequency data. Moreover, the very action of connecting processes, equipment and people can open up new avenues towards enhancing safety and machinery performance. Visibility into process states can be significantly improved, e.g. ovens, refrigeration systems, reducing risk to workers. Wireless and mobile technologies can be incorporated to make information available to workers in more convenient ways as well. Finally, the integration of a Digital Enterprise can take care of the bulk of regulatory demands, which most manufacturer usually fulfill through manual audits and collections. Eliminating this can save up valuable worker time, ensure maximal accuracy of data and improve compliance standards.